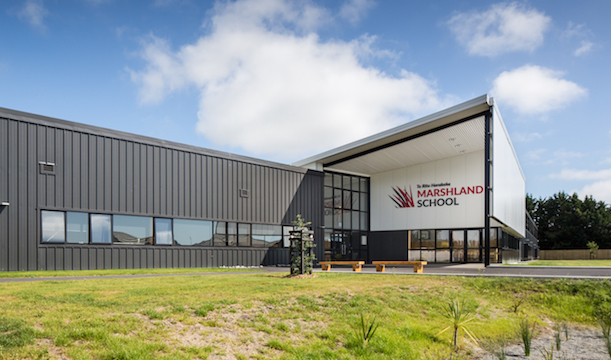 Marshland School was opened in early 2016 as part of the new Christchurch Schools Renewal Programme. This project was completed in 2 stage throughout 2015 and 2016. The new build provides the latest thinking in Innovative Learning Environments, with a building that is efficient, low maintenance and flexible to encapsulate dynamic, varied learning settings while providing excellent natural daylight, ventilation and thermal comfort. RDT Pacific provided Project Management services to ensure the successful delivery of the School, turning a new page for a recovering community. 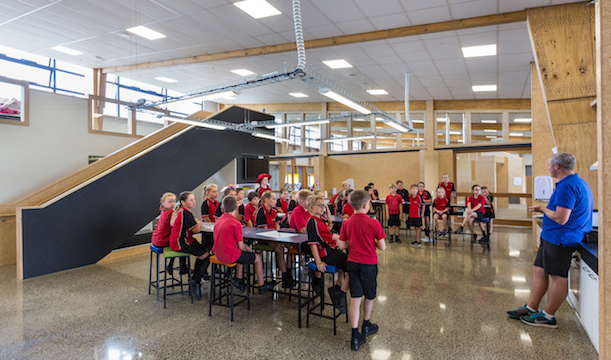 RDT Pacific collaborated with architects Stephenson and Turner, CityCare, Hayball, Moorhead and Newdick, and Aurecon on the Marshland School project, the first to be given a ‘green light’ at master planning and concept design stage from the Ministry of Education’s Design Review Panel. Located between the new Preston’s housing development to the east and rural horticultural land to the west, the school’s appearance is not only in keeping with both, but actually creates the transition itself. The new school is 600 metres away from the previous site, which was significantly damaged in the earthquakes, requiring a complete rebuild. The project is part of the $1.1 Billion government budget to repair and rebuild Christchurch schools over the course of a decade. Housed entirely within one building, the structure helps to unite the School with its collaborative, innovative learning spaces. Together the administration spaces, café, library and multipurpose hall form the School’s central hub. Caregivers are encouraged to come and ‘grab a coffee’ in the café and engage with the school. The hub has also been designed for easy access for the community to use the facilities on the weekend. 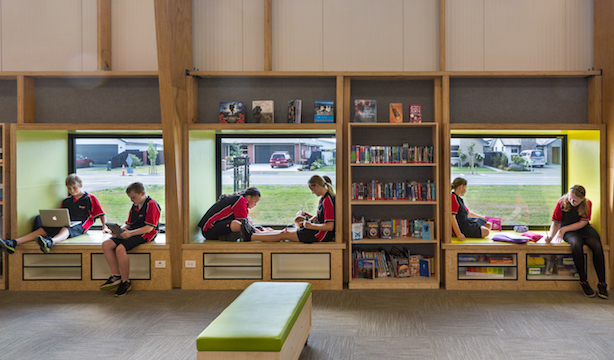 Learning hubs are located either side of this centre and respond to the ‘Blended Learning’ pedagogy of the school. Each is defined by a central gathering space, where the whole group can meet before breaking off into smaller groups, taking advantage of the range of smaller targeted activity spaces. An external walkway runs along the western edge of the building, allowing connectivity between admin and learning spaces. Covered outdoor learning areas have been designed to encourage outdoor learning and to connect inside and outside, reflecting the School’s key sport and outdoor learning focus. The design incorporates passive environmental design principles – including ventilation and natural daylighting – saving money and conserving resources. It caters for 400 students with room for an extension that expands capacity up to 650 students, future proofing the school for the area’s growing population. 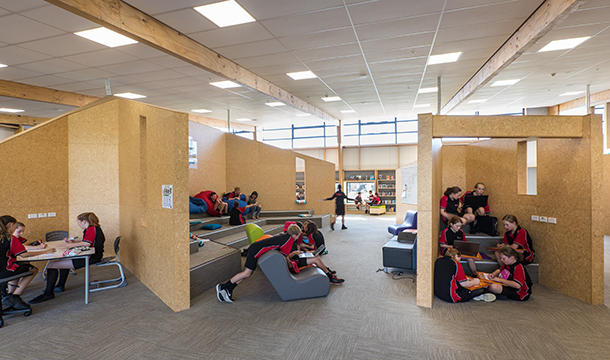 For the Ministry of Education, the efficiency of design for Marshland School and its translation into practical usable space is virtually second to none. The project was delivered on time and within budget, and the Ministry believes it has achieved good economic value from its investment and the key outcomes and benefits will be realised.